Rinse and dry berries and basil. 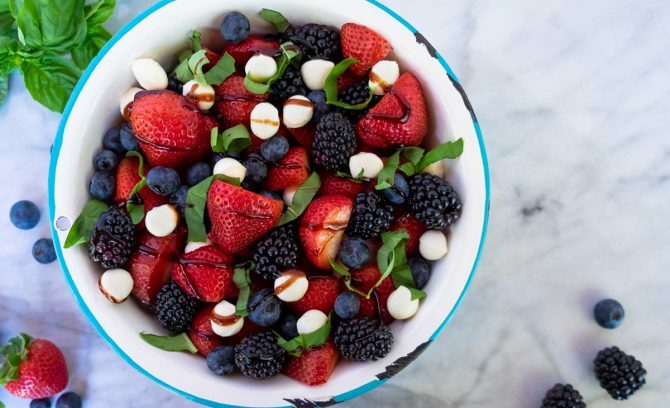 Combine berries, chopped basil, and mozzarella. Drizzle with olive oil and balsamic glaze to taste. Adjust quantities to taste and number of servings.